“After all this time, now you come to visit me, brother…” opens Loki, in Marvel’s much-anticipated Thor: The Dark World trailer. The movie trailer debuted on Super Wednesday as part of YouTube’s Geek Week. As it’s name might suggest, Super Wednesday focused on all things super…from the supernatural to the superhuman. 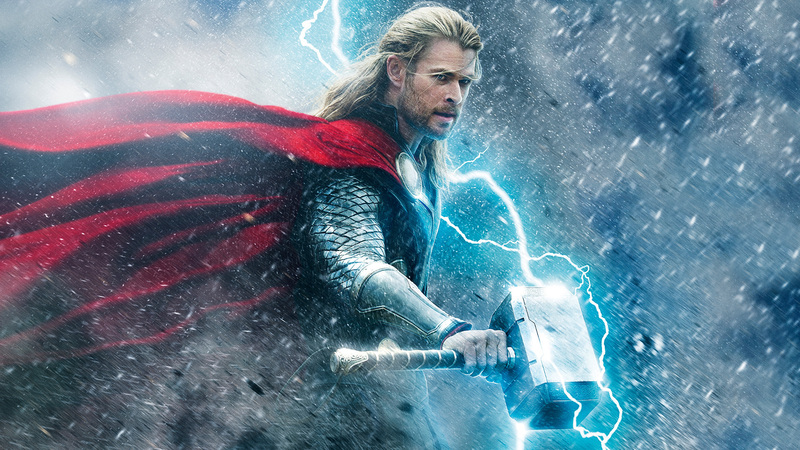 Thor: The Dark World follows the events that took place in New York City in the blockbuster hit The Avengers. Thor (Liam Hemsworth) must join forces with an unlikely ally, his brother Loki (Tom Hiddleston), when Malekith (Christopher Eccleston) returns to bring back the darkness that once existed before the universe. “The very fabric of reality can be torn apart,” informs Jane Foster (Natalie Portman). The trailer really captures the versatility of the film — the love, action, adventure, and even humor — in just over two and a half minutes. One scene in particular that packs a punch (pun intended) features an interaction between Loki and Jane Foster, plus a fangirl-worthy Avengers movie reference. Thor: The Dark World hits theaters November 8, 2013. Check out the trailer, below, or get the full comic book effect by clicking into YouTube to watch the trailer in “POW” mode. Previous Previous post: Is Chris Brown Quitting Music?